1.) The state-wide NY Green Bank initiative aims to provide access to $1 billion in seed funding to finance energy efficiency projects. 2.) The NY-Sun Initiative creates $1 billion in incentives for ratepayers to incorporate solar capabilities into their electrical systems. 3.) 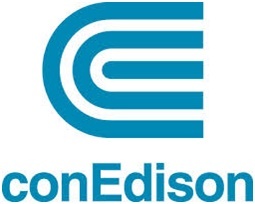 Consolidated Edison Inc.’s plan involves saving $1billion by foregoing the construction of a major power plant to keep pace with the accelerating demand. 4.) Mayor de Blasio’s $1 billion dollar energy efficiency plan involves upgrading NYC public buildings to make them energy efficient and encouraging similar upgrades within the private sector. New York has the highest major market energy costs in the nation. The four initiatives aim to encourage taxpayers to update their electrical and lighting systems in order to bring costs down. The substantial government incentives, coupled with the energy cost savings from upgrades, provides a compelling, favorable economic return for applicable energy projects. For example, with the new Green Bank initiative, not only will ratepayers end up saving money in the long-run, but they will now have access to financing for their projects in order to avoid the initial cost outlay. This article contains four major sub-sections that describe each of the new 1 billion dollar programs and a fifth section that describes the corresponding tax savings. 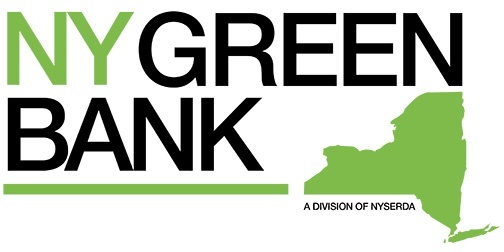 The state-wide New York Green Bank (NYGB) seeks to use regulatory power to encourage energy efficiency improvements and expand the efficient energy market. Largely, the initiative does this by making lending for energy efficient improvements more accessible. Currently, many areas of the energy efficiency market are limited by a lack of financing. The Green Bank serves to remedy this problem by establishing a secondary market for receivables drawn by energy efficiency borrowers. With this in place lenders will be more willing to offer financing. Capitalization of the bank will come from New York State ratepayers. However, rates will not increase. The funds will result entirely from a reallocation of existing funds previously uncommitted to other programs. Still, some ratepayers argue that this will result in the government shifting wealth by choosing to support businesses whose loans it backs with money from ratepayers. The government’s response is that most projects it backs will involve power generation, not a particular economic sector. With power generation, the city argues, the benefits received by the power generators are passed down to the ratepayers in the form of lower rates. Whatever the case, the $1 billion investment in capital will have a multiplier effect of billions more in lending at the retail bank/investor/developer level since the lenders that are actually funding projects will still need to invest their own capital. In other words, the $1 billion investment only serves to support the small percentage of loans that will actually result in a default. The government can encourage widespread lending for energy efficient upgrades through this multiplier effect which will result in substantial energy systems upgrades throughout the city. Early projections suggest that the $1 billion capitalization could produce as much as $8 billion of additional, private sector, investment in clean energy projects over the next ten years. With this, the city believes it will be able to reduce the cost of electricity to the ratepayers by increasing the efficiency of production while decreasing the overall demand. The emerging efficient energy market is a large one; in order to be successful moving forward, the financing of the industry needs to overcome several barriers. The chart below demonstrates the total market value of unrealized opportunities for New York based projects over the next ten years. Note: *This chart excludes potential for utility scale generation, fuel cells, charging stations, energy storage, solar hot water systems, and other emerging clean energy tech and fails to account for further technology improvements. The NYGB initiative attempts to expand the efficient energy market by providing loan loss reserves and assuming some of the default risk associated with clean energy loans or leases in return for a risk-appropriate fee. For example, one potential credit enhancement solution would be accelerating expansion of the residential market for clean energy by providing support to a financial institution in connection with a pool of clean energy loans or leases. This would enable the pool to include consumers whose FICO scores are below those currently served in the market. A similar credit enhancement strategy could work in the commercial sector by expanding market access for economic clean energy projects for the next most creditworthy tier of commercial end-users. NYGB generally targets projects that use the same technologies that drive carbon reduction and other public benefits contemplated under existing New York State clean energy policies. NYGB does not expect to provide capital directly to companies for funding of their general business operations or project (pre-construction phase) development capital. It simply acts as a secondary buyer of energy investment bundles. In constructing its portfolio, NYGB includes consideration of scalable, mature renewable and energy efficiency technologies that are yet to be deployed in commercial markets (e.g., electric vehicle infrastructure, biomass, anaerobic digester gas systems, offshore wind, and fuel cells). Ideal projects are those opportunities which are “near frontier”, essentially, those which are one standard deviation away from where financing markets are today. • Would likely not happen at the market breadth needed to scale the sector. Many of the anticipated Green Bank Investments will involve solar power, a technology which is currently falling short of its market breadth potential in New York in part due to the lack of sufficient financing. Along with the NYGB, the state hopes to stir activity in this technology sector with the $1 billion funding of the NY-Sun Initiative and the associated 30% solar tax credit which is crucial to that program as discussed below. NY-Sun is part of Governor Andrew M. Cuomo’s commitment to protect the environment and lower energy costs for all New Yorkers by improving the efficiency and reliability of the electrical grid. Cuomo launched NY-Sun in 2012 to increase solar electrical installations in the state. In April 2014, the Governor made a historic commitment of nearly $1 billion to NY-Sun, which will significantly expand deployment of solar capacity throughout the state and transform New York’s solar industry to a sustainable, subsidy-free sector. NY has redesigned its solar programs utilizing a Megawatt (MW) Block incentive structure that provides certainty and transparency to the industry regarding incentive levels, accounts for regional market differences, and provides a clear signal to New York industry that the state intends to eliminate cash incentives in a reasonable time frame and allows for the elimination of those incentives sooner in regions where market conditions can support it. Each region and sector is assigned a series of MW targets at certain incentive levels, referred to as blocks. As applications are submitted, incentives are assigned and the kilowatts associated with the applications are added together. When the MW target for that block is reached, the block is closed and a new block, with a new MW target and a lower incentive level, is started. Once all of the blocks for a particular region and sector are filled, an incentive for that region and sector will no longer be offered. How the MW Block structure works: If the first Upstate residential block was for 40 MW and the incentive was $1/watt, once contracts are in place for those 40 MW, the second Upstate residential block will be made available at a slightly lower incentive rate – 90 cents/watt. This decrease in incentives will continue with each new block. and Upstate regions when these blocks are launched in 2015. As of early October 2014, the first blocks for residential units have been closed throughout all three regions. Meaning that the incentives for upgrades are currently slightly lower, being in the second block range. For non-residential units, block one incentives are closed throughout the Upstate and Long Island regions. Block one incentives are still available for NYC non-residential upgrades, however they are fast-closing. As of October 17th, the block is about 85% full for non-residential units under 200kw. For the larger non-residential units which generate over 200kw, the first block incentives will become available in 2015. 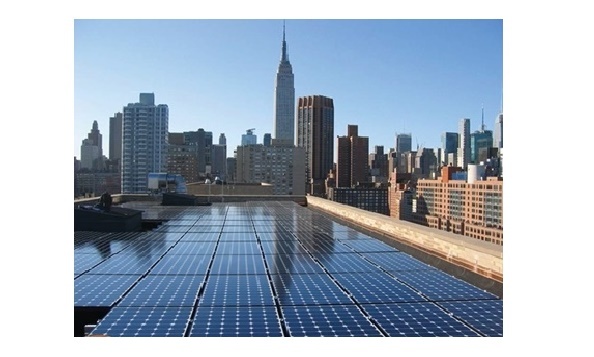 (To view progress levels visit http://ny-sun.ny.gov/For-Installers/Megawatt-Block-Incentive-Dashboard.aspx). For residential customers, loans are available for up to $13,000, or up to $25,000 with repayment periods of 5, 10, or 15 years. For small business and not-for-profit organizations, Participation Loans of up to $100,000 (half the market interest rate) and On-Bill Recovery loans of up to $50,000 (at 3% interest) are available with repayment periods of up to 10 years. Repayments of the loan are made through monthly charges on your utility bill. However, monthly payments may not exceed the estimated energy cost savings from the upgrades, which means the energy savings will likely cover most or all of your loan payment. With this fact in mind it would be advantageous to upgrade since in a worst case scenario you would be paying what you were previously paying for electricity while taking advantage of the capital improvement on your building and benefiting from the tax credit and corresponding depreciation deductions. In order to meet the projected electricity demand of 2019 that will result from a growing New York City population, Con Edison has been faced with a choice to either construct a $1.1 billion utility substation or force electricity consumers to power down. Interestingly, the need for the investment could be substantially reduced through innovative, less costly alternatives. The Rosenfeld thesis challenges the conventional belief that energy demand and gross national product work in tandem. The conventional belief and consensus logic dictated the continuing need to build more power plants. However, a group of leading physicists led by Princeton University physics professor, Art Rosenfeld, wouldn’t accept conventional wisdom. Rosenfeld and his colleagues proceeded to put together an influential Princeton energy study which concluded that systematic steps to improve energy efficiency could materially reduce demand. (For more information see "U.S. Utilities Combine EPAct Tax Savings with the Rosenfeld Curve"). These cost saving alternatives are crucial to the utility industry’s survival as competing energy sources begin to emerge. The plan in New York involves investing $100 to $150 million in programs to reduce electricity consumption and deferring construction of the substation until 2024. This would result in net savings for ratepayers of $400 to $500 million. With this program, businesses can receive rebates for certain upgrades, including lighting fixtures, LED exit signs, chillers, packaged HVAC systems, motors, and water and steam boilers. Many incentives are available for purchasing and installing specific high-efficiency equipment in existing facilities. To participate, the ratepayer must be a Con Edison commercial or industrial customer in an existing building who pays the applicable electric or gas System Benefits Charge. Performance-based incentives are also available for installing high-efficiency gas and electric equipment for customized projects that are not covered under the equipment rebate program. In addition, Con-Ed will pay up to 50% of costs (with a cap of $67,000) associated with a technical feasibility study involving potential electric and gas energy efficiency measures. In an effort to reduce energy costs and the impact of energy production on the environment, NYC is planning new energy-efficiency standards for all its public buildings and pressuring private building owners to make similar improvements. Nearly three-quarters of NYC’s green house emissions come from energy used to heat, cool, and power buildings. 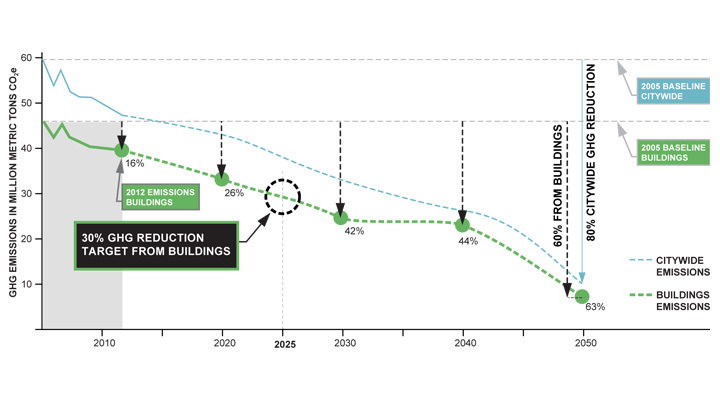 With this fact in mind an essential component of New York City’s plan to dramatically reduce emissions inevitably involves retrofitting its 50,000 plus buildings with energy efficient technology. Of these 50,000 plus buildings, slightly more than 4,000 of them are government owned. Every one of these 4,000 buildings will be completely updated within the next ten years. Next year alone, the city will invest $1 billion in this quest. Upgrades will range from changes in lighting or boiler systems to improvements in solar power generation capabilities. According to the city’s estimates, efficiency upgrades will yield over $1.4 billion in annual savings, a significant step towards a complete transition away from fossil fuels. The efficiency upgrade initiative was announced before the United Nations Climate Summit this past September and involves a pledge to decrease greenhouse gas emissions by 80% from 2005 levels by 2050. As the United Nations points to the desired target for developed countries to mitigate the effects of climate change, New York City is leading the way as the largest city in the world to make the commitment. This would help encourage other cities to upgrade their energy efficiency, as New York initiatives usually drive similar policy in other regions around the world. As a key component of the plan, Mayor de Blasio announced the city’s new “retrofit accelerator” plan, which aims to upgrade 20,000 private buildings, making up 15% of citywide built square footage. The city will accomplish this by requiring buildings of more than 25,000 square feet to comply with energy efficiency guidelines -- a more stringent standard than the previous 50,000 foot threshold. Some estimates put the capital-improvement tab at around $ 1 billion. Although private-sector residential and commercial owners and developers will bear the cost of these improvements, the city estimates that they will be offset by $8.5 billion in energy-cost savings over the next 10 years (including operating cost savings, new economic development, increasing property values, and the creation of 3,500 new jobs in construction and energy services). The Greener, Greater Buildings Plan (GGBP), another large component of Mayor de Blasio’s initiative, is the most comprehensive set of energy efficiency laws in the U.S., targeting NYC’s largest existing buildings which constitute half its built square footage and 45% of citywide carbon emissions. For these buildings, the policies require an annual benchmarking of energy and water use with public disclosure; an audit and retro‐commissioning every ten years; for non‐residential spaces, upgrades for lighting to meet the energy code, and the installation of electrical meters or sub‐meters for large tenant spaces. In order to comply with Local Law 84 (LL84), which is at the heart of the GGBP and Mayor DeBlasio’s larger initiative, owners of buildings with entire lots of 25,000 square feet or more (now decreased from 50,000 sq. ft or more) must use the free online Energy Star benchmarking tool, Portfolio Manager, to report energy and water use to the city by May 1st of each year and continue the procedure quarterly. The Department of Buildings (DOB) is authorized to issue a violation for any listed building that has not provided a benchmarking report. Failure to benchmark by May 1st will result in a violation and penalty of $500. Continued failure will result in additional violations on a quarterly basis and a penalty of $500 per quarter with a maximum of $2,000. Although these penalties may seem menial to some building owners, the related energy cost and tax savings provide a more compelling reason to update. Pursuant to Energy Policy Act (EPAct) of 2005, Code Sec. 179D, commercial property owners or primary designers in government projects making qualifying energy-reducing investments in their new or existing locations can obtain immediate tax deductions of up to $1.80 per square foot. In order to qualify for the deduction the building should show a combined energy cost savings of 50% based on the envelope, lighting and HVAC improvements. Many companies who upgrade their lighting systems are eligible for significant tax incentives. The following chart demonstrates the potential tax and net savings. For more information on EPAct tax incentives and EPAct planning see “Integrating Solar and EPAct Roof Tax Incentives”, “EPAct Tax Planning in the Top Ten U.S. Solar States”, and “EPAct Tax Planning For Solar PV Installation”. Large federal tax credits are available for alternative energy projects. These credits are particularly important for the large projects envisioned by the NY Green Bank. Similarly, the 30% solar tax credit is critical for the NY-Sun Initiative. In order to meet capital expenditure and obtain grid interconnection approval, most solar projects will need to commence in 2015 to meet a December 31, 2016 tax credit expiration date. The following chart defines the expiration dates associated with the various Alternative Energy Tax Credits. In addition to the tax credit, the government also provides other significant incentives. For example, the taxpayer may accelerate depreciation and claim deductions over a period of just five years even though the typical useful life of the system is significantly longer. Thus, the taxpayer may recover costs sooner than most typical depreciation schemes. Moreover, the purchase price of the system for depreciation purposes is only reduced by half the amount of the tax credit even though the taxpayer received a dollar for dollar reimbursement. These two combined benefits not only reduce tax liability but also accelerate the rate of return on solar investments.